The Clin-eConnect solution is our clinical messaging solution for the health market. 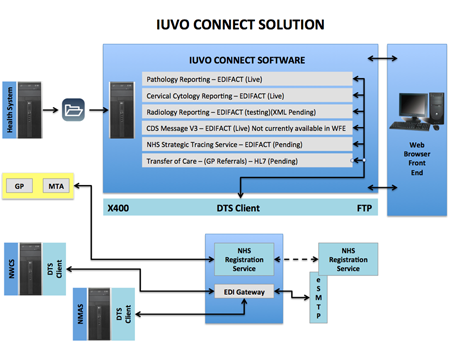 It has been developed specifically to handle the varied requirements of the disparate NHS projects such as Pathology, Radiology, Bowel Cancer, eDischarge, Out Of Hours, Screening… Utilising a layered design approach, the solution can be tailored to incorporate additional modules which meet the individual requirements of any additional customer messaging project. Clin-eConnect offers a multitude of connection options, providing customers the flexibility to send and receive data using a variety of methods, these include FTP, SFTP, File transfer, Web service, MLLP, NHSMail and the NHS Messaging Exchange for Social Care and Health (MESH) Service. 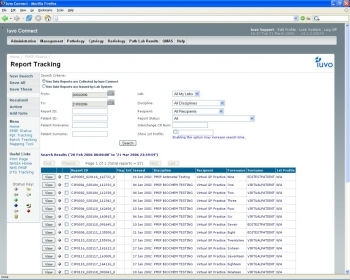 The built-in web interface provides authorised users the ability to manage and monitor the message flows, and to track the status of messages through their full end-to-end process. 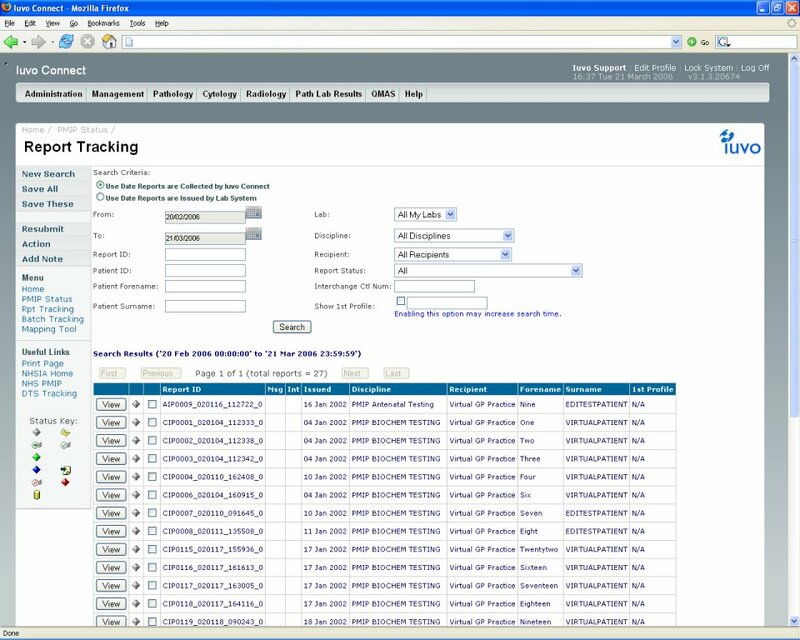 Where the NHS MESH service is used as the delivery mechanism, users can also request tracking information directly from MESH for individual messages or interchanges without leaving the Clin-eConnect web interface. Please insert your contact/telephone number should you wish to use 'Iuvo's' call back service.